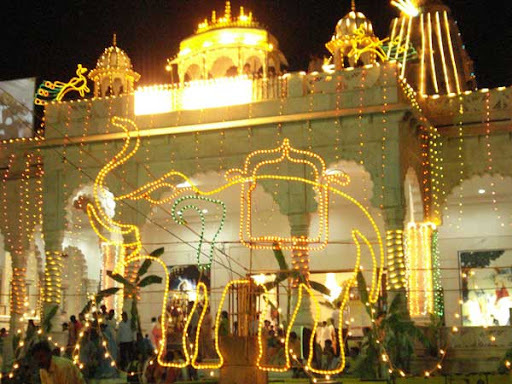 Iskcon Ujjain has many wonderful festival each year, the following are just a few of the major events. Chandan yatra begins from Akshaya Tritaya and is celebrated for 21 days mainly in the summer for the pleasure of the Lord and his devotees. 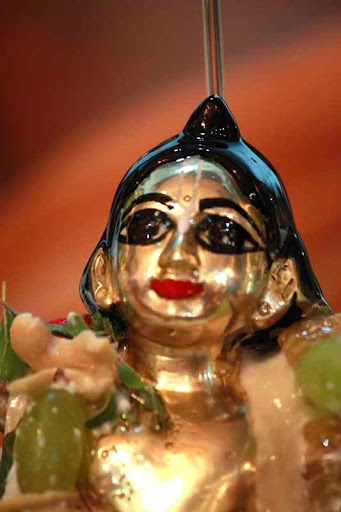 As part of the festival, the Deities are applied fresh and cool sandalwood paste to give relief from hot summer. Once Lord Gopalji apperared in a dream to Madhavendra Puri (a prominent acharya in Brahma Madhava sampradaya) and told him ‘I am feeling very hot and thus please go the forest nearby Puri in Orrisa and bring sandalwood for me”. 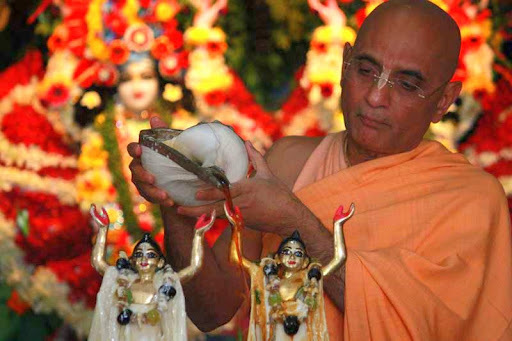 Thereafter Madhavendra Puri went to Puri and fetched sandalwood as per the instructions of Lord Gopal. On his way back, Gopalji apperared in a dream to him and told him ‘There is no difference between me and Sri Gopinath. 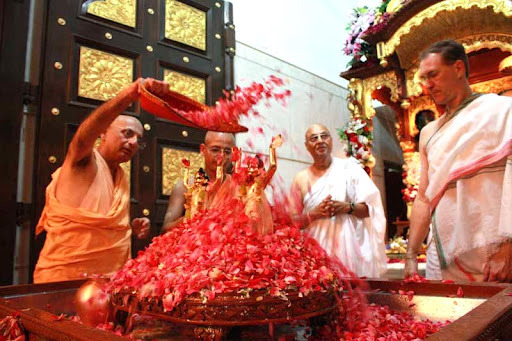 So apply chandan to Sri Gopinath whose temple is in Remuna”. Thus, Madhavendra Puri applied the sandalwood he brought for Gopal to Gopinath. 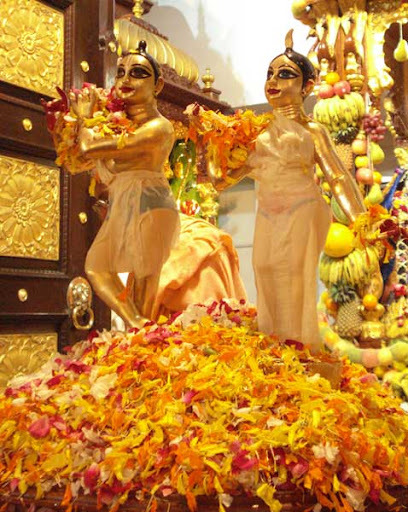 Lord Krishna appeared in Navadvipa as Lord Chaitanya, and Balarama appeared with Him as Lord Nityananda. 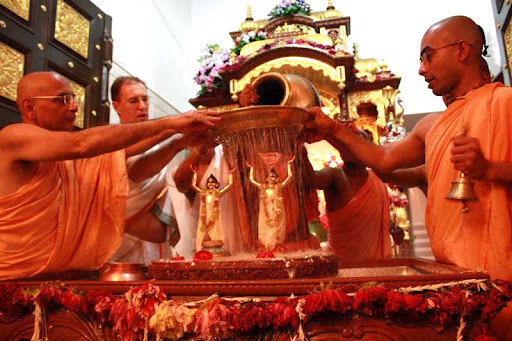 Nityananda Prabhu is the original Sankarshana and His expansions as the purushas in the universes are plenary expansions of Nityananda Prabhu. 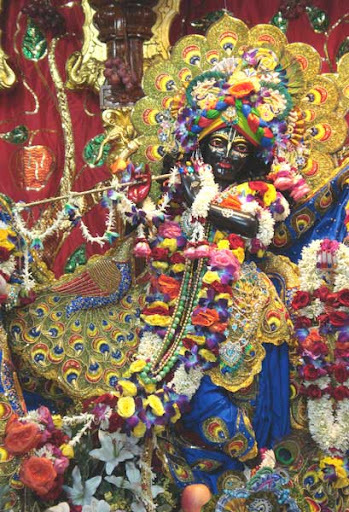 The place where Nityananda Prabhu appeared is called Garbhavasa. 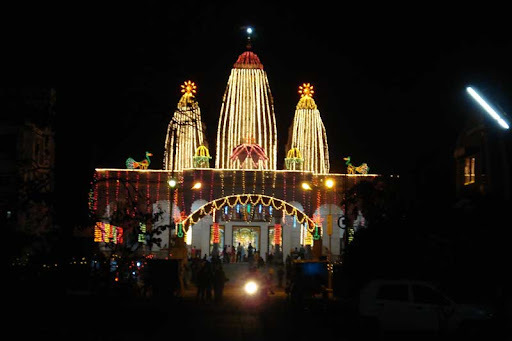 He was born in the village of Ekachakra, in the district of Birbhum, as the son of Padmavati and Hadai Pandita. Sri Nityananda Prabhu appeared in the sixteenth century. There is no difference between the spiritual positions of Lord Chaitanya Mahaprabhu and Nityananda Prabhu, or Krishna and Balarama. All of Them are but different manifestations of the Supreme Personality of Godhead. 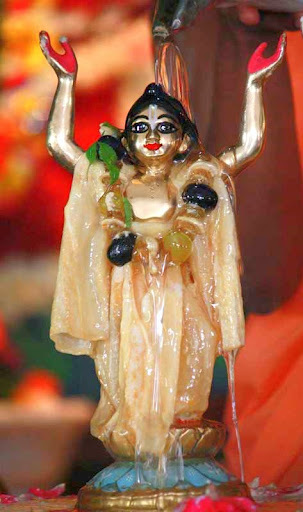 Sri Chaitanya Charitamrita says, vrajendra-nandana yei, saci-suta haila sei, Balarama haila itai – Lord Krishna descended as Sri Chaitanya, the son of Mother Sachi and Lord Balarama appeared as Nityananda. 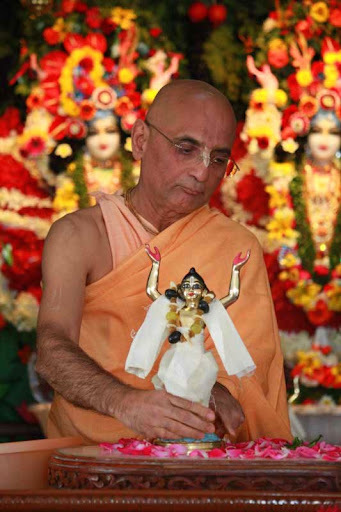 He was instrumental in spreading the holy name of Krishna all over West Bengal. 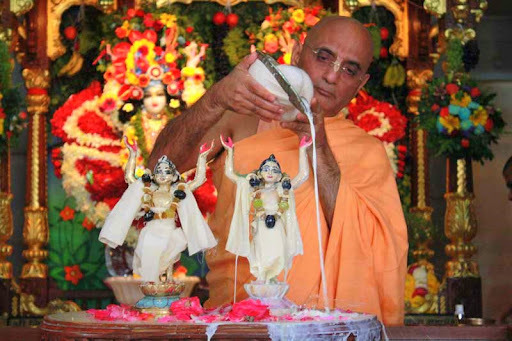 ISKCON temples all over the world on Nityananda Trayodashi, celebrate His appearance by performing panchamrita (milk, cuds, ghee, sweetened water and honey) abhisheka. Krishna Comes as Sri ChaitanyaIn a special appearance, Krishna personally came in A.D. 1486 as Sri Chaitanya Mahaprabhu and acted as His own devotee. 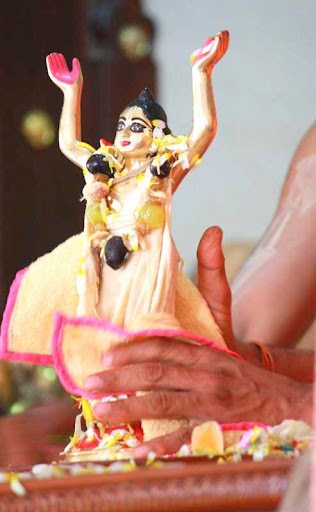 Sri Chaitanya Mahaprabhu is Krishna Himself, saturated withthe love for God. As the emblem of the perfect devotee of Krishna, He displayed feelings of the highest spiritual ecstasy.Krishna taught Bhagavad-gita to liberate all souls, and He returned as Sri Chaitanya to show us how to live by the Gita’s teachings. Because spiritual realization is difficult in the present age, Krishna as Sri Chaitanya Mahaprabhu is especially liberal. He has made pure love of God attainable by the easy process of chanting His sacred names, as in the maha-mantra: Hare Krishna, Hare Krishna, Krishna Krishna, Hare Hare/ Hare Rama, Hare Rama, Rama Rama, Hare Hare. In this way, assuming the sentiment of a devotee, He taught devotional service while practicing it Himself. Mahaprabhu’s Life and Mission Sri Chaitanya Mahaprabhu, also known as Lord Chaitanya, appeared in West Bengal, India, and showed us how to awaken our love for Krishna while living in this world. 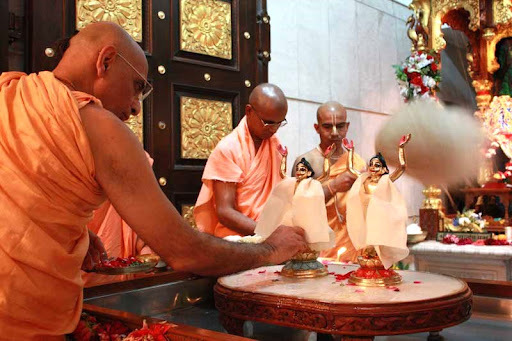 He spent His first twenty-four years spreading the teachings of the Srimad-Bhagavatam and promoting the spiritual practice of chanting Krishna’s holy names. Extremely influential, He won the hearts and minds of the greatest scholars of His day. 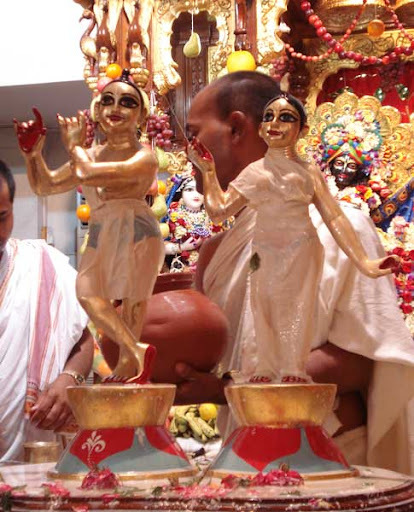 Sri Chaitanya’s last twenty-four years, spent in the holy city of Jagannatha Puri, were devoted to tasting the ecstasy of pure love for Krishna. The Best Kept Secret In the late 15th century, the European kings sent their boldest explorers in search of new routes to treasure-filled India. Many returned home on ships laden with silks and spices. But they missed the real treasure of India just then being profusely distributed by the great avatar Sri Krishna Chaitanya. “ This cosmic manifestation is going on under the influence of three modes of material nature—goodness, passion and ignorance. These three modes are the causes of creation, maintenance and destruction. The cloud is caused by the action of the mode of passion; therefore it is the mode of passion which causes the rainfall. And after the rainfall, the living entities derive the result—success in agricultural work. What, then, has Indra to do in this affair? Even if you do not please Indra, what can he do? We do not derive any special benefit from Indra. Even if he is there, he pours water on the ocean also, where there is no need of water. So he is pouring water on the ocean or on the land; it does not depend on our worshiping him. 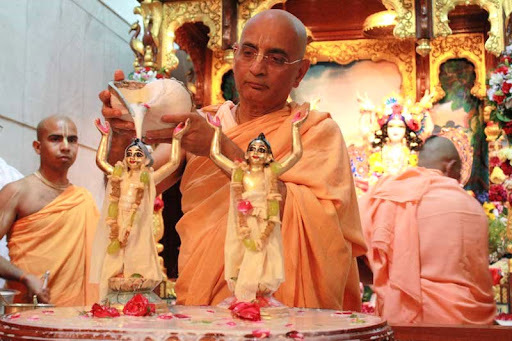 Krishna thereafter instructed Nanda Maharaj to proceed with the Govardhan puja by preparing various foodstuffs to offer to Govardhan, give charity to brahmanas and decorate the cows and feed them. 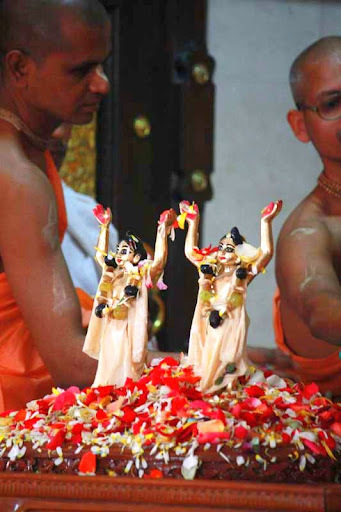 The ceremony of offering various foodstuffs to the Govardhan is also called Annakuta festival.ISKCON temples across the world celebrate Govardhan puja annually by decorating and worshipping mountains of foodstuff which symbolize Govardhan mountain.